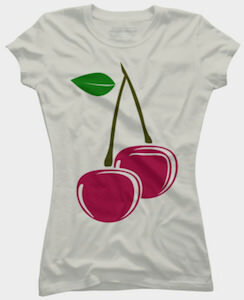 If you like cherries like anything else then this t-shirt is what you want as cherries is what you find on it. Not one cherry but two cherries is what you find on this t-shirt and even the little leave and stem is there to make it look so real. You can get this cherry fruit t-shirt comes in men, women and kids styles in many sizes and colors so that you and your whole family can have the same t-shirt and that of course gets the message across that cherries is what you like. Of course the red and green of the fruit make this t-shirt also fun and colorful and perfect for a cherry lover like you. Always wondered how an iceberg floating at sea looks from the bottom? 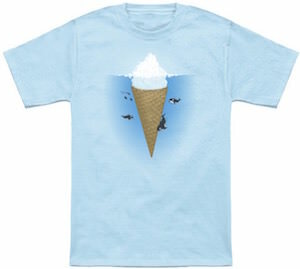 This t-shirt tells us the secret and you can see it is an ice cream cone making an iceberg a giant ice cream. On the shirt you can see he white ice above the water and the cone under the water and around the cone you can see some whale’s swimming around and even they are to small for this giant ice cream. 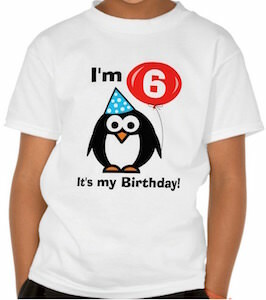 You can get this fun iceberg t-shirt in styles for men, women and kids and that means it is available in many sizes and it comes in many fun colors to so that the whole family can enjoy wearing it. Some people don’t trust the Irish and maybe this t-shirt explains why. On this t-shirt you can see a skull and bones and the skull is clearly of a pirate as it wears a green bandana on it’s head and has an eye piece. It’s seems like it is an Irish pirate as it has a green bandana and on the black eye piece you can see a shamrock. Below the skull and bones it says “Arrrish” that is like pirate talk for Irish and maybe that is why the trust is hard to find. 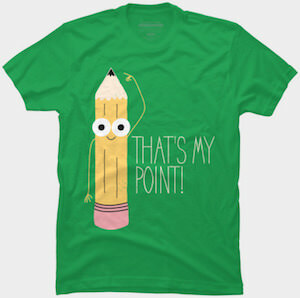 A t-shirt like this is great for St Patrick’s Day but also works great on talk like a pirate day. 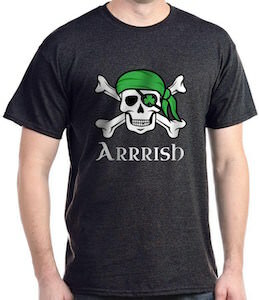 And you can get this Irish pirate t-shirt in men, women’s and kids styles in many sizes and colors so that you can all talk like an Irish pirate. 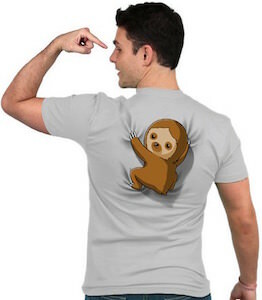 If you like flying animals big and small, real or mythical then this is the t-shirt for you to look at. 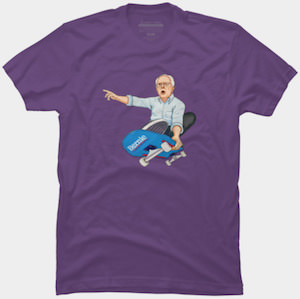 On this t-shirt you can see a dragon lying down happily with on it’s nose a little butterfly and that means two flying animals on one amazing looking shirt. 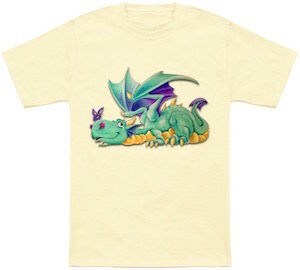 And you can get this dragon t-shirt in kids and adults sizes in many colors and styles. Anyone who would like a dragon and butterfly on it’s t-shirt should not hesitate as this t-shirt is just what you need and I am sure that the design will be admired by anyone seeing you wear this t-shirt. 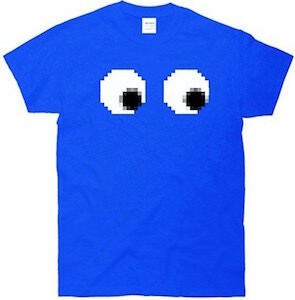 This t-shirt has some freaky eyes on it and you can get those eyes on all kind of shirts for men, women and kids and they come in many fun colors to. As you can see the shirt shows two big eyes that are looking left and that makes me wonder what is to see there on the left. 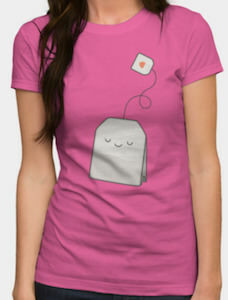 The eyes are pixelated and look like 8 bit making them like something a video gamer would see often. Actually my mom told me when I was young that I would get square eyes from watching the screen so much and I guess this is how it would look.